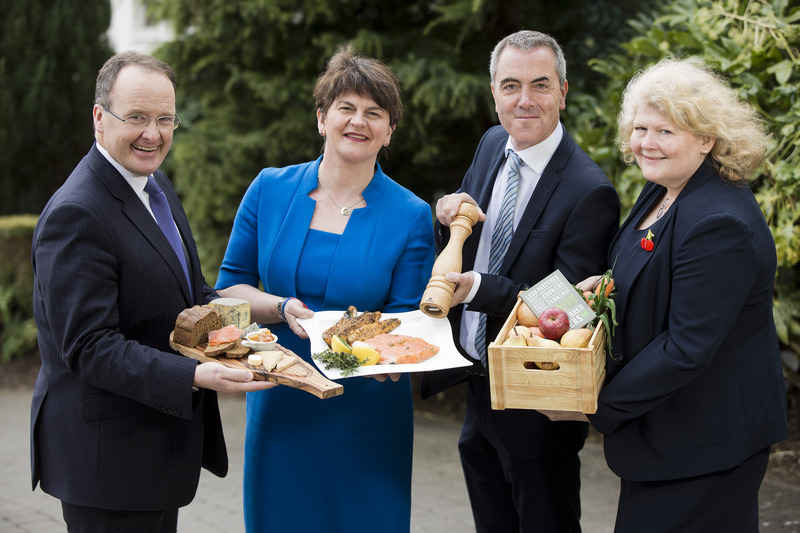 Foster: 2016 Will be Northern Ireland’s Year of Food | Food NI - Our Food So Good! Enterprise Minister Arlene Foster today served up a new initiative aimed at giving more tourists an appetite to visit Northern Ireland. Announcing that next year, 2016, will be Northern Ireland’s Year of Food, the Minister called on everyone to get involved in giving visitors a taste of what makes our local menus so special. Speaking at the Tourism Northern Ireland annual conference, Arlene Foster said: “We have some of the best food and the best restaurants in the world, and the potential this has when it comes to tourism cannot be underestimated. Food tourism already generates over £350million per year to the local economy, but I believe there is significant room for further growth. That’s why I have asked Tourism Northern Ireland to begin preparatory work to develop the Year of Food initiative and have secured funding to allow them to do so. In the lead up to and during 2016, there will be a series of packaged events aimed at tempting the taste buds of potential visitors. 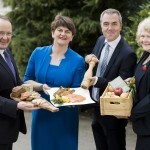 Arlene Foster added: “We have a great story to tell, and this is a very exciting opportunity to really celebrate our food sector. “We boast some world-class produce, not to mention talented chefs, restaurants, skilled cookery schools and a rich food heritage, all of which is becoming better known, especially in GB, which is our key market. The Year of Food will enable us to continue to raise our profile nationally and to promote Northern Ireland food tourism on the international stage. “As well as specific events, the Year of Food will see support for industry through master classes and mentoring programmes, the development of new food experiences and trails, and development of a toolkit to enable a wide range of people across Northern Ireland to get involved in promoting their produce and their area.